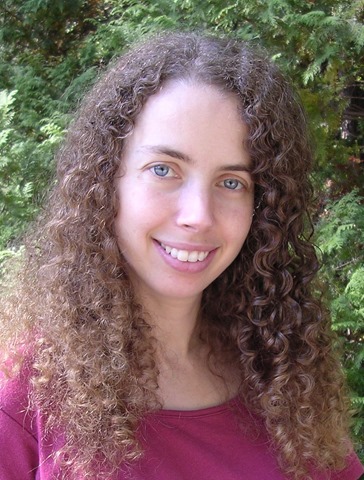 I was thrilled to be asked to interview author Sarah Beth Durst about her new book as well as her writing. Welcome Sarah! What is your writing process? Do you outline or have a less structured approach? First, I decide what kind of chocolate this draft needs. Is this a Three Musketeers draft? A York peppermint patty draft? A Ghirardelli milk chocolate caramel draft? Or a traditional and almost-healthy Raisinets draft? I put the chocolate on the bookshelf next to my desk, in easy reach, and then I write a chapter. All my chapters tend to be about ten pages long, because that’s the amount of time until I want to eat more chocolate. If I run out of chocolate, it means the draft is finished. I am at least partially serious. In addition to consuming copious amounts of chocolate, I also write every day. I know writing every day doesn’t work for all writers (and it isn’t always logistically feasible), but it really helps keep me in the story. It keeps the sentences flowing. For me, writing is all about momentum. Maintain it, and writing is fun. Let it flag, and I need to buy more chocolate. That part is completely serious. The book is filled with cupcakes of various flavors. What is your favorite flavor of sweet cupcake? What is your favorite savory flavor? And if cupcakes are not your favorite dessert, what is? In THE GIRL WHO COULD NOT DREAM, Sophie’s best friend is a cupcake-loving, six-tentacled monster named Monster. But cupcakes are actually not my favorite dessert. My favorite is berry cobbler, specifically the berry cobbler with black raspberry ice cream served at Artist Point in Disney World — my favorite restaurant ever. I also love crème brulee and anything involving a drizzle of raspberry. Yum. I love that your book features a girl who does not dream, since I was a child who did not dream though I do more now as an adult. Are you a dreamer? What is your favorite dream you have ever had? Do you have a favorite nightmare? I do dream. Sometimes after I wake, I lie in bed without moving to try and capture the dream before it slips away. I often wish I could bottle and save the best ones — and that is, in fact, where the idea for THE GIRL WHO COULD NOT DREAM came from. In the book, Sophie’s family owns a secret dream shop where they buy, bottle, and sell dreams. This doesn’t qualify as my favorite dream, but in my most vivid dream, I was Cindy Brady’s imaginary friend. I lived in the corner of the squares in the opening credits, between Cindy and Alice. Monster is an amazing character and I was not expecting him to talk at first! Where did Monster come from? Monster crawled out of my subconscious fully-formed. I actually wrote the first scene of the book — where Monster meets Sophie inside a dream and then comes to life — a couple years ago while I was supposed to be writing another book. I had to put his and Sophie’s story aside then, but I didn’t forget about him. Right now, I’m working on an epic fantasy trilogy for adults about bloodthirsty nature spirits and the women who can control them. The first book, THE QUEEN OF BLOOD, will be coming out in fall 2016 from Harper Voyager. I’m really, really excited about it! Thank you Sarah! 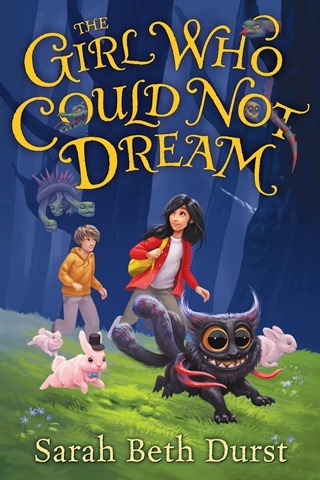 I’ll be sharing my review of The Girl Who Could Not Dream tomorrow. So stay tuned! Excellent review. I enjoyed your questions and Sarah’s answers. Have seen the book, but it is always nice to hear from the author. Very creative book.